Aptly known as the Phoenix city, Yinchuan is a city that is gradually rising into economic prominence. Located in the North West of China in the Ningxia Hui autonomous region, a third of Niangxia’s population is Muslim, compared to the national average of 1.8% in 2010. In recent years, Ningxia has been the centre of a government campaign to promote Arab investment there, resulting in promising investments and high tech development on top of the existing coal and mineral industries. Key Industries: Coal, metallurgy, Chemical manufacture, Agriculture, High-tech industry. 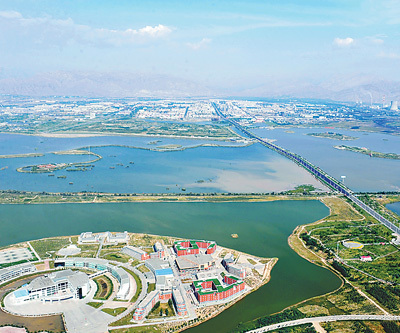 Yinchuan Economic and Technological Development Zone (YETDZ), established in 2001 is home to over 2000 enterprises, focussing on pioneering high tech progression and information industry developments to modernise existing industries. The development forms part of the national ‘Go West’ development programme (西部大开发) designed to increase the infrastructure and industrial output of inland China. The area is rated a BB standard development zone indicating the area is still in the development stage. Within the development zone are 4 sections: the Overseas Returnees Pioneering Park, the Ningxia Software Park, the Ningxia SMEs Pioneering Park and the Ningxia High- and New-Tech Pioneering Service Center. In 2012 Yinchuan was also designated as an Inland Opening-Up Economic pilot zone. Given that Muslims make up one third of the Ningxia population, in 2013, the China-Arab States Expo was help in Yinchuan, and the government has invested in developing this area as a hub for trade between China and Arab states. This drive has resulted in rapid increase in foreign investment and trade, in 2013 the total foreign trade in Yinchuan amounted to US$2.41 billion, up 80.9% year from 2012, and 2013 Utilised FDI in Yinchuan stood at $129 million. 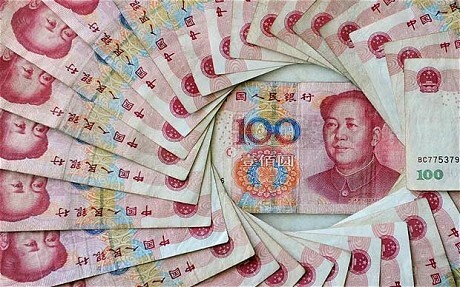 The gross industrial output value of the zone reached RMB 23.5 billion in 2012. In 2012 construction was begun on a new CBD in Yinchuan, with around CNY 800 million invested in the project in that year. Named the Yue Haiwan CBD, it will complement the existing development parks and forge the way for further investment and development, with a view to being specially aimed at Arab investors. In mid 2013, the CBD development had already attracted 24 projects with a total investment of 17.9 billion yuan. While Yinchuan’s existing CBD is mostly empty, the imminent opening of the new project should create a thriving hub in the heart of the city. Aside from the development zone, Yinchuan has a strong infrastructure of existing industries contributing to the city’s GDP of RMB 127.35 billion in 2013, up 10% from 2012 and accounting for approximately 49.6% of Ningxia’s total. 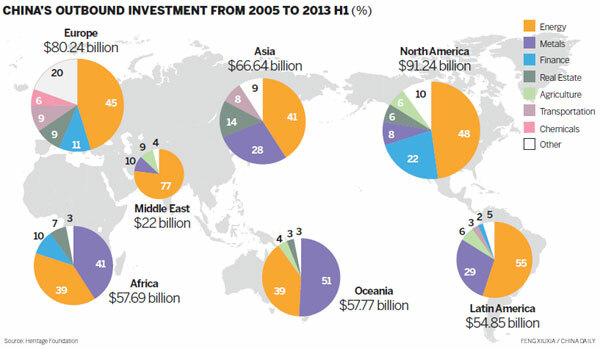 In an area rich in energy and mineral reserves, the energy industry is a key source of income to the area. 9 out of 10 Chinese national coal companies have bases in Yinchuan and Yinchuan is also a centre for petroleum processing and chemical manufacture. This heavy industry realised RMB 41.26 billion in 2013, up 12.5% from a year earlier. Yinchuan is also a hub for certain agricultural industries. It is a designated national centre for beef and mutton imports, hosting the International Beef and Mutton Industry Development Forum in 2014. Yinchuan is also the most prolific area in China for the production of Chinese wolfberry products (also known as goji berries). Located on the end of the new Silk Road and near the Yellow river, Yinchuan has become a logistics hub both for land transport into and out of China and for transport between the East and West of Hina itself. By the end of 2015, Yinchuan will be linked to the high speed rail network, further improving its transport links. The main existing railway connections are the Baotou-Lanzhou railway and Baoji-Zhongwei railway, with an average 15 hour journey from Yinchuan to Beijing. China and Latin America: Which way now? Combating illegal timber: what action will China take? With the closing of APEC earlier this month, its staging in Beijing has provide the organization with some much needed limelight. The aspirations expressed and announcements made were by no means small: A USD 40 billion fund for infrastructure development, blueprint for the pursuit of a Free Trade Area for the region (FTAAP), US-China agreement of the reduction of Carbon emissions, Russian-Chinese agreement to use national currencies for trade settlements, as well as many other bi-lateral agreements between APEC members. With the emphasis of agreements firmly on Infrastructure development China has taken a leading role in the pursuit of what was described by President Xi as the ‘Asia-Pacific dream’, described as: having more economic vibrancy, free trade and investment facilitation, better transportation links, and closer cultural exchanges. He urged the region's economies to explore new drivers for growth and draw a blueprint for comprehensive connectivity. Report to implement the APEC connectivity blueprint. APEC Economic Policy Report on Good Regulatory Practices. This is an executive summary of the 2014 APEC Economic Policy Report which highlights the challenges of APEC economies in implementing Good Regulatory Practices and suggests further steps in promoting the use of GRPs. Key Trends and Developments relating to Trade and Investment Measures and their Impact on the APEC region. Prepared by the APEC Policy Support Unit (PSU) to inform APEC ministers, officials, and stakeholders on recent trade and investment trends in the region, as well as trade and investment-related measures recently implemented by APEC member economies. 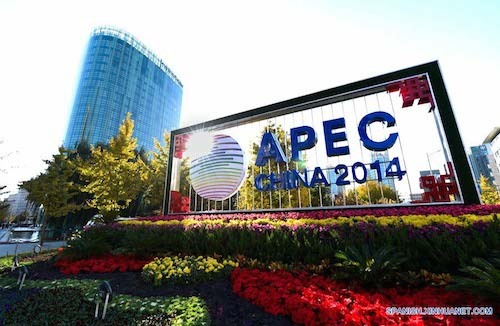 Trade and Economic Growth: 25 Years of a Stronger Relationship within APEC. The purpose of this Policy Brief is to explore the correlation between trade and the gross domestic product (GDP) within APEC and show the importance that trade plays in APEC’s economic growth vis-à-vis the rest of the world. 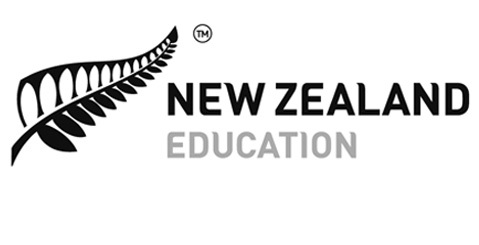 A snapshot of education and related developments that occurred in China in the first half of 2014, prepared by Education New Zealand. China’s Ministry of Education released its full year figures on the number of students who travelled abroad in 2013. The figures show a record number of students – 413,900 – studied overseas.While the number of students heading overseas reached an all-time high last year, the rate of growth slowed significantly. Whereas previous double digit growth in the number of students heading overseas had almost become expected, 2013 bucked the trend with 3.5 per cent growth. This compares to a growth rate of 18 per cent in 2012 and an annual growth rate of 28.2 per cent between 2000 and 2010. For the full report please click here to open the PDF. Sina Corporation is an online media company targeting the global Chinese community. Founded in 1998 and headquartered in Shanghai, it is publicly traded in the US on NASDAQ where it IPO`d in 2000. It operates some of the most popular web portals and social media sites in China which feature targeted content. Users browse most content for free, and the company monetizes its readership by selling advertisements similar to traditional media formats. Historically, the company’s web portals have been the most important channel for reaching users, but its social media platform, Weibo, continues to gain in significance for the company following its launch in late 2009. The company sells advertisements, which constitutes about 80% of its revenue, on its web portals (please click here to see it’s various portals) and social media properties. Sina operates multiple portal sites for audiences in different places (mainland China, Taiwan, Hong Kong, etc), featuring a wide range of content. The mix of content enables the company to offer advertising clients placement in specific areas of interest (sports or finance, luxury etc) to reach their target audience. The majority of Sina’s advertising business is brand advertising, which focuses on building a brand opposed to influencing an immediate purchasing decision. Major revenue streams are from customers in the automotive, fast-moving consumer goods, Internet services, financial services, IT and telecommunication industries. The company suggested that its target customers are multinationals and large domestic companies looking to build their brand within China. The company’s non-advertising business includes Mobile Value Added Services, Weibo Value Added Services, online games, and other fee-based services the company provides. Current company information and investor news is available via its English homepage found here. The China Greentech Initiative (CGTI) has now released its 2014 report. Greener, Smarter, More Productive, the fifth in a series that was first launched at the World Economic Forum in 2009. Increased awareness in China of the need to tackle pollution and improve the quality of life in Chinese cities is driving some significant changes in policy. The Report contends that to maintain a national GDP growth target of 7.5% through 2014, Chinese economic policy must be accompanied by an equally resolute vision for cleaner growth. Building on the new approach outlined in last year’s report, the latest edition offers a path forward for China to adopt a greener, smarter and more productive model of development. The 2014 report asserts that there is a profound opportunity for leading companies to integrate their products and services to customize replicable solutions for China’s project owners and governments in the areas of industrial efficiency, distributed energy, greener buildings and cleaner mobility. Since the release of the first report, China has emerged as an innovative driver of greentech industry development; and is fast becoming a hub for more productive practices and implementation that can be profitably adopted by global industry stakeholders. The report outlines ambitious new central and local government plans for pollution reduction; and highlights how forward-thinking companies can use innovative technologies, best practices, and global collaboration models to accelerate China's sustainable growth. Please click here to downlaod the report as a PDF. China Railway Engineering Corporation (CREC) 中国中铁 is the second largest construction contractor in the world and occupies the 102th place on the Fortune Global 500 list. The Beijing-based SOE, together with its main rival, China Railway Construction Corporation, are of vital importance to the infrastructure expansion plans of China. The Group has 46 subsidiaries, including 28 wholly owned subsidiaries, 15 holding subsidiaries, 4 branch companies and 3 joint venture subsidiaries. 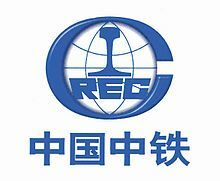 CREC's construction teams are found in over 1,000 cities throughout China. In addition to the core business of construction, the company does surveying & design, installation, manufacturing, R&D, technical consulting, capital management as well as international economic and trade activities. CREC has shown strong financial performance in recent years, as is shown in its financial results below (for its full annual report please click here). The company signed new contracts worth ¥929.6 ($149.2) billion dollars last year (2013), while existing contract revenue was ¥1.38 trillion ($222.3 billion). Other business areas in which CERC operates are: engineering equipment manufacturing, surveying, design, consulting, property development and natural resources mining, with the latter two showing the fastest growth. Increasingly important, but often overlooked, is the China Railway Resources Group (CRRG), responsible for precious metals, ferrous and non-ferrous metals extraction, as well as logistics and surveying. With a strong focus on mineral extraction, specifically gold, copper, coal, cobalt, silver, nickel, zinc, lead and graphite, the Group has an active presence in Qinghai, Xinjiang, Inner Mongolia and Heilongjiang (where CRRC and Baoan Steel have signed an agreement to cooperate over a graphite mine). International operations in Congo, Australia, Laos and Venezuela (CREC began construction in 2009 of the Anaco-Tinaco railroad, an 800 million USD project to build a 471 km high speed railway line across the country). Qingdao is one of China's most dynamic, and possibly livable costal cities. An important international trade port located along the western coast of the Pacific Ocean in the south of the Shandong Peninsula, it is a main transportation hub for Northeast Asia. The original port built in 1892, then know as Tsingtao, now connects with 450 ports in 150 countries. The city currently boast numerous development and trade zone including: National Qingdao Economic and Technological Development Zone, Qingdao High and New-Tech Development Zone, Qingdao Qianwan Bonded Port Area, Qingdao Export Processing Zone, Qingdao West Coast Export Processing Zone, Sino-Germany Ecological Park, and Jiaozhou Economic and Technological Development Zone. With a population of just under 8 million, Qingdao is also a major National Tourism city, know for it`s restored European buildings, beaches and International Conference venues. The city hosts the China International Consumer Electronics Show (SINOCES), the China International Marine Fair, Qingdao International Fashion Week, and the Qingdao International Beer Festival annually. In recent years, Qingdao has been positively promoting the construction of a blue economic zone (for marine sciences) and a high-end industrial cluster, to build a advanced manufacturing base lead by companies such as Haier and Hisense. Valued at 412 Billion USD in 2011 the modern logistics industry in Qingdao has developed quickly in recent years: 6 major logistics parks, including Qianwan International Bonded Port. Four logistic centers, including the west coast export processing area, and six distribution centers, including Jiaozhou and Fu’an. Qingdao is now home to over 30 domestic and international logistics companies. Small and medium-sized logistics companies, in particular, are being actively encouraged to strengthen resource integration to meet the demands of national diversified logistics. 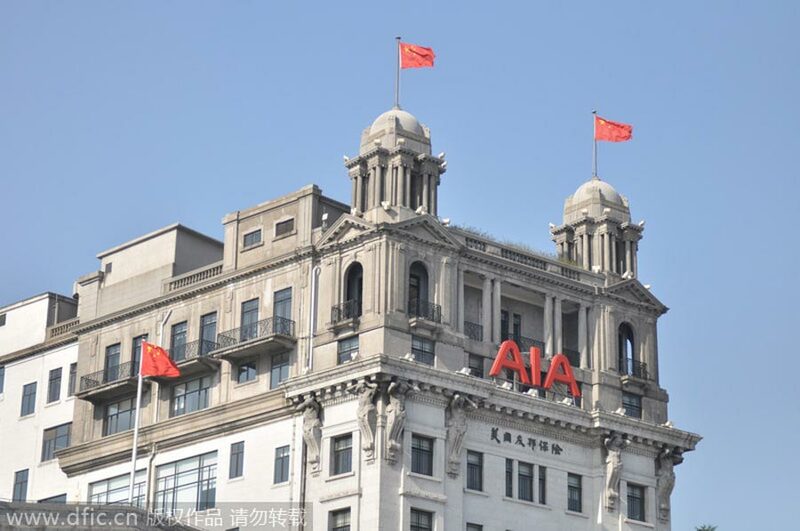 More than 50 million tourists visited Qingdao in 2013 catered to by over 155 star-rated hotels, including the international: Intercontinental, Hyatt, Kempinski, Accor chains. The city is currently focused on developing resort and vacation facilities and accelerating the development of Shi Laoren Resort, Phoenix Island, Langyatai, Tianheng Island, Lingshan Bay and Aoshan Mountain Hot Spring areas. The municipal government is currently implementing plans to expand it`s port facilities to allow the city to become the `Home Port’ for a domestic cruise industry with an annual capacity of over 1 million passengers. Cruise operator Carnival expects to carry 500,000 Chinese cruise passengers in 2015, up from 350,000 this year. The city currently has 167 outsourcing companies registered, employing around 30,000 university graduates, the largest seven companies accumulated accounting for over $10 million USD in revenue, including Lucent Technologies, Caterpillar, Qingdao Risong, and Unihub. The city's Preferential Policy on Developing Service Outsourcing in Qingdao was launched in 2008, to provide financial support for the service-outsourcing sector. A supplemental policy on Service Outsourcing came out the following year to provide financial incentives to pay income and business taxes. It put more than 40 million RMB into the development of service outsourcing, a major force behind development in the city. The city has a number of service outsourcing parks, with a total area of 1 million square meters, and more than 500 companies focusing on: software development, digital animation, data processing, integrated circuitry design and industrial engineering. Currently, there are five companies specializing in producing solar photovoltaic devices in Qingdao: Qingdao GIGA Solar New Energy Co (specializes in producing single crystal silicon, polysilicon, film solar cells and components). Abo New Energy Co. NESI Solar Co (solar film batteries). China Creative Wind Energy Co (on-grid wind power generation apparatus). Shandong Datang Corporation (wind power generation apparatus). Electric appliances- The leading companies, such as Haier, Hisense, and AUCMA are developing quickly and developing support companies so that, now the city has almost 1,000 supporting manufacturers, producing a range of goods. Petrochemicals- As one of China`s major ports a whole range of companies have established industrial facilities in the city including: Sinopec Qingdao Refining & Chemical Co, Anbang Petrochemical, Huanhai Oil Technology, Yellow Sea Rubber Group, Guangming Tire, Huntsman Textile & Dying and BASF Pigment. Automobiles - The city has 20 automobile manufacturers (18 for special models) and 260 spare-parts manufacturers, 82 of them large-scale. Textiles and garments- The textile and garments industry has been evolving from traditional textiles to garments, household textiles, materials for fabric, dying and textile machinery which are all done in large scale production plants. Ship and marine engineering- A ship and marine engineering area has been established on Huang Island at Haixi Bay, and at Jimo and Jiaonan. The Haixi Bay site is a production base for large barges, offshore platforms, low speed diesel machinery, large rollers, decks, ship electrical systems, and water loading. The Jimo and Jiaonan areas are bases for R&D centers for high value-added oil tanks with a 100,000-ton capacity, special ships, high-tech barge equipment, and support products. Companies, such as the China Shipbuilding Industry Corp, Branch Five, CNOOC Offshore Engineering, PetroChina Offshore Engineering, Yangfan Shipbuilding, and Harbin Engineering University research center all have facilities here. Trademark Law of the PRC. 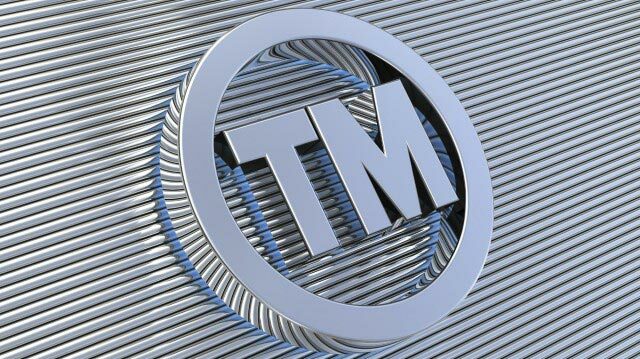 China's new Trademark Law has been issued and becomes effective May 1st, 2014. Important changes in the areas of anti-piracy, prosecution, enforcement, well-known mark determination and usage, opposition, and cancellation have been made. Foreign companies and their counsel should be aware of these changes so that rights and interests are not prejudiced and opportunities are not missed. Sound marks and multiple class trademark applications made available. Narrowed legal standing for oppositions and invalidation. A mark proceeding to registration if the opposition fails at the first level of adjudication at the Trademark Office. 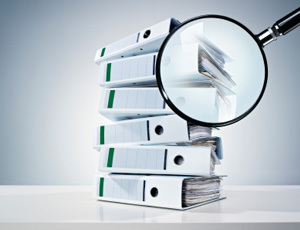 Increased fines, compensation, and statutory damage against infringement. For the full updated atricles of the new law please click here for the PDF. The following essay was written for the Boao Review by Professor Danny Quah of the LSE where he carefully dissects current predictions that the Chinese economy will either dramatically crash or else become ensnared in the ‘middle income trap’, please click here to open the full PDF.